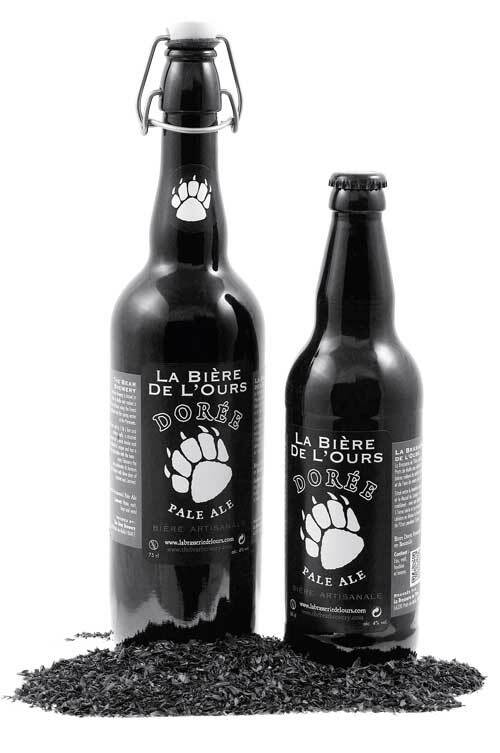 La Brasserie de l’Ours is based in Prats de Mollo and makes a selection of beers using the finest ingredients and the spring water of the Pyrenees. The town, with its 17thC Fort and medieval walls, is situated between the Spanish border and the Massif of Canigou and has a long association with the bear - every February the town celebrates its famous Bear Festival with three days of Festival and Carnival. The brewery is based in the town, behind the Pompiers Caserne and is easy to find. Pale Ale 4% ABV – a traditional English recipe using a combination of malts, wheat, British-grown hops and specialist yeast which produces a light and refreshing golden ale. Pilsner 5.5% ABV – a traditional European recipe for a bottom-fermented light and crisp lager, using partially roasted malt and traditional Saaz hops. Wheat Beer 5.5% ABV - a light and refreshing beer made with malted wheats, fruity hops and our own blend of coriander, orange and star anise. Honey Beer 6.0% ABV - Limited Edition - made with malted what and barley, European hops and local honey. Our beers are neither filtered nor pasteurised and contain yeast which produces natural sediment.